Enjoy all of the wonderful health and wellness benefits of essential oils by starting with this practical (and less expensive) best essential oil blend for colds and flu. Saving you money so you can breathe easy in more ways than one! Essential oils don’t have to be expensive. 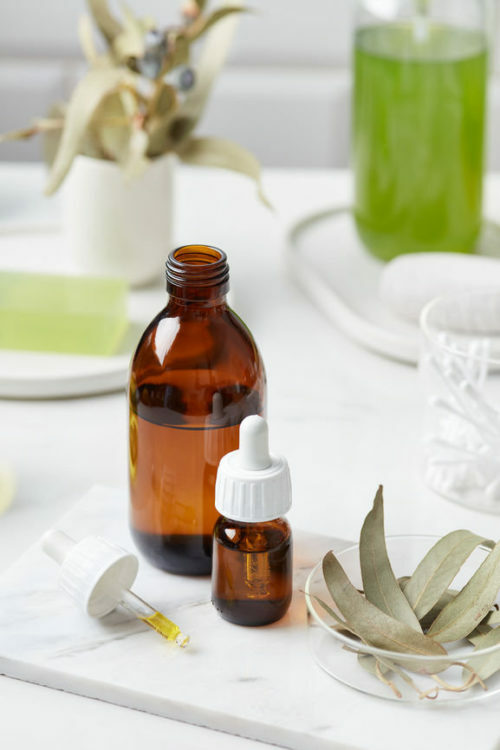 If you love the idea of essential oils and their potential aromatherapeutic benefits, but aren’t sure where to start, read this! 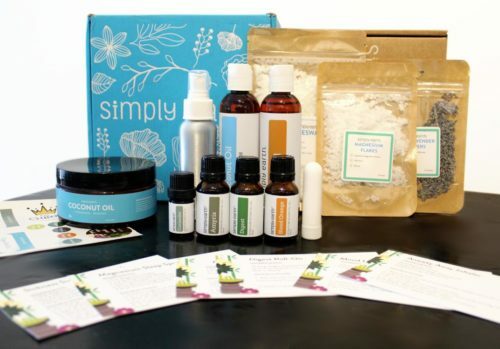 I know many of us have wanted to purchase essential oils in the past. Especially for practical uses throughout the winter season. However, essential oils can be expensive when buying several at one time. Or, you may not want to make a huge investment on essential oils that end up going to waste. You can easily solve this dilemma by purchasing a single essential oil blend. And, as it’s cold and flu season, I’m sharing with you the best essential oil blend for colds and flu to get you started! We’ve all had those days. Those days where you’re so sick it feels like it will never end. You’ve caught some virus that’s in the midst of throwing down seriously bad voodoo. You can’t breathe. And when you talk, your friends think you’re using a voice changing app to sound like Darth Vader. This is exactly how I’ve felt since Christmas. I’ve had a cough for days. One of those body wrenching coughs that leaves your back sore and your throat raw. And I’ve been fighting this illness with cough medicine that’s somehow supposed to suppress my cough while also helping me expel mucous at the same time. (How does that work exactly?) Not to mention cough medicine makes me loopy AF. So when my friend and fellow blogger, Cari, suggested that I diffuse essential oils to help, I was blown away by how easy it is to miss the obvious when you’re completely out of it. Diffusing essential oils for an illness – without a diffuser. So I chose to go with eucalyptus and tea tree essential oils for my (very late) morning shower. I turned the shower head on, let the water get hot then added a few drops of tea tree oil to end of the tub. Next, I followed with some eucalyptus essential oil. Except, oops. I’d taken the dropper out of that bottle and didn’t check before the pour. Therefore, instead of a few drops of eucalyptus to open up my airways, I ended up with more like a teaspoon of eo swimming in the bottom of my tub. Of course, like any other completely normal totally sick person, I figured it couldn’t hurt. I could barely smell it anyway. So I showered and inhaled and rinsed and inhaled and at some point I started to actually breathe normally again. Now the apartment we live in is crazy small. It’s basically the size of a studio apartment but with actual rooms. So my shower basically turned into a giant essential oil diffuser for the entire pad. And when Greg walked through the door he literally took a step back. Where my overkill of eucalyptus oil had helped to open up my sinuses, it had the opposite effect on him. Greg kept saying “he couldn’t breathe” over and over again. He then went out to the truck to wait for me. Yep. We took a trip to BJ’s Wholesale so the apartment could air out. So where Greg’s version of events is that I tried to suffocate him. My version is that I was simply disinfecting the entire apartment. Naturally, of course. In one easy step. There are a number of common essential oils you can diffuse for colds and flu. These include eucalyptus essential oil (obviously) ravintsara essential oil, peppermint essential oil, rosemary essential oil, tea tree essential oil, clove bud essential oil and white fir essential oil. However, buying all of these essential oils at once, or even additional essential oils to create a pleasing essential oil blend for your diffuser, isn’t always cost effective for most people. 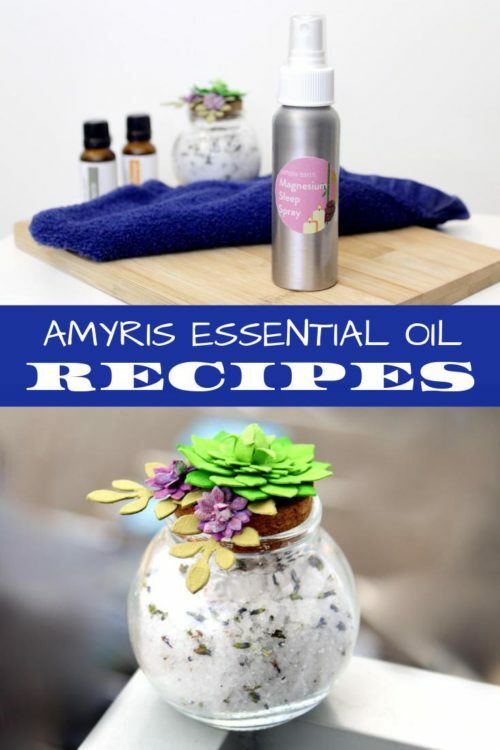 Therefore, if you only dabble in aromatherapy from time to time, or if you are just starting out, sometimes the easiest and most affordable option is to start with a ready made essential oil blend. The best essential oil blend for colds and flu is from Spark Naturals. Trusted for their quality and purity, Spark Naturals sells an amazing essential oil blend for colds and flu called Respire. Spark Naturals Respire essential oil blend offers protection against cold and flu germs during flu season as well as congestion in general. Because so many of us are forced indoors during the winter months, we are more likely to become exposed to these germs by our close proximity with others who may be sick. Therefore, Spark Naturals formulated their proprietary best essential oil blend for colds and flu to offer some protection against common germs. 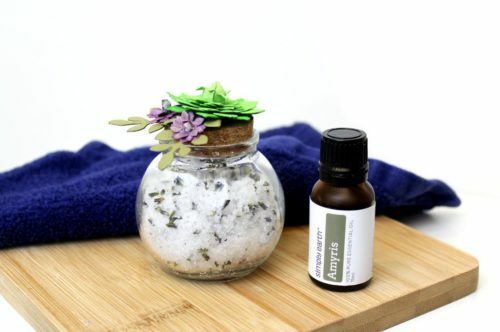 Made using a combination of peppermint, tea tree, eucalyptus, rosemary, lemon and clove essential oils, their Respire essential oil blend also helps with both cold and flu symptoms in addition to common respiratory issues such as congestion. How to use an essential oil blend for colds and flu. You can also make a simple essential oil salve for chest congestion using this blend. Simply weigh, combine and melt .5 oz. beeswax pastilles in a double boiler with 1 oz. of your preferred carrier oil. Once melted, remove from heat. Then mix in 15-18 drops of the Respire essential oil blend. Pour into metal tins and allow to cool prior to use. Or try Spark Naturals ready made Respire Stix multi-purpose balm. Spark Naturals also offers a base salve that’s already premade for adding in your choice of essential oils. This is especially useful if you don’t have the space or funds to purchase extra ingredients in bulk. In addition, you can also purchase several pre-made essential oil salves containing the same high quality essential oils for a variety of other health ailments including anxiety and trouble sleeping. Their 8-pack salve sampler is a super affordable way to explore the health benefits of essential oils. Truth be told, I feel a LOT better today after flooding our apartment with tea tree and eucalyptus essential oils. And while Greg may not be quite as thrilled about how I handled my own sick care, he’s pleasantly surprised that my shower diffuser experiment eradicated the dog smell from my aging (super stinky) dachshund, Jasper, from the apartment. If you’re looking for more ways to help combat those nasty cold and flu germs, be sure to check out these 5 must have products to boost immunity as well as this collection of natural ways to fight colds and flu. 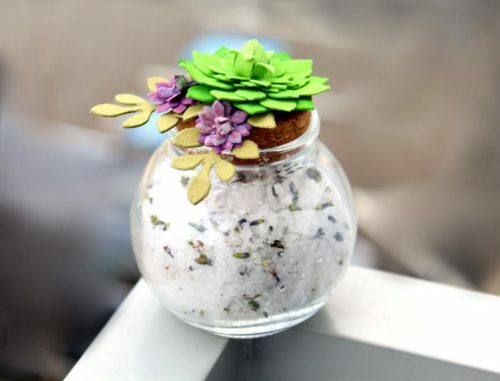 Or try Cari’s DIY breathe easy wax melts. You can also learn how to use eucalyptus and tea tree essential oils to make your own natural deodorizing candle. In the meantime, sign up my semi-weekly (meaning sometimes every week and occasionally every other week) newsletter to discover more great health and wellness tips and skin care recipes. The kids are in school, the holidays are fast approaching and there’s so much planning and shopping still yet to be done. Who can afford to get sick? Whether you’re making soothing medicinal teas, immune boosting syrups or something else entirely, these natural ways to fight colds & flu will keep you in shape to do what needs to be done. After all, we can’t always afford to take time off from work or home life. But it is important that we take time out for self care. This way we can still perform at our best even when we feel bad. And who knows, you may find that you enjoy some of these natural ways to fight colds & flu even when you aren’t sick! You need look no further than tea brands like Yogi and Traditional Medicinals to know that tea can help with a variety of ailments from insomnia and constipation to weight loss and energy. But if name brand teas don’t quite cut it, you can create your own custom tea blends to help ease a cold or flu. 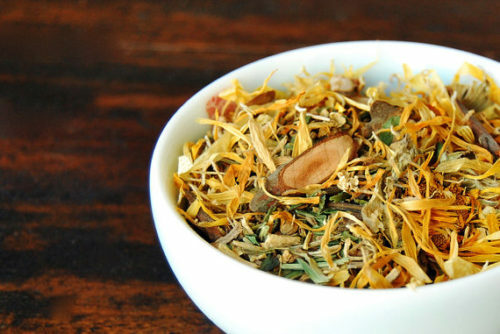 Within the article, How to Make Custom Herbal Tea Blends by Jes of Good 4 You Herbals, you are provided with introductory information on herbal ingredients and tips for mixing these ingredients to create custom herbal teas. For example, peppermint leaf helps to not only cool down the body, but it also soothes irritated lungs and eases colds. Hibiscus flowers, which are naturally rich in Vitamin C, help to “dry” out excess mucus in your lungs. While marshmallow root adds a coat of mucilage that can sooth a dry cough and sore throat. Cayenne, and this one is often used in cold & flu tea blends, heats up the body and acts as an expectorant if you have a stuffy nose due to a cold or flu. In addition it also has amazing antibacterial properties that help to promote wellness. You can find Jes’ article on how to customize your own herbal teas here. (Jes also uses her herbal knowledge when developing her own natural plant based makeup. You can purchase her products via her Etsy store here.) Or try this simple and easy cold & flu herbal tea recipe with echinacea, ginger and cayenne to get you started. 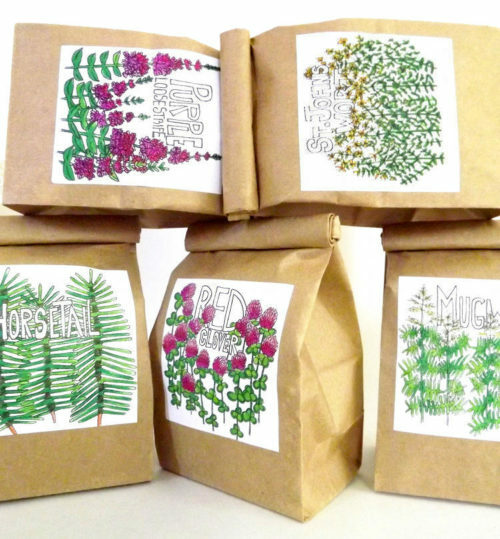 If you’re not quite up to the task of customizing and preparing your own medicinal herbal tea remedy, you can purchase pre-blended cold & flu herbal teas from these artisanal sellers based on your symptoms. Or simply gleam ideas for the types of ingredients you’d like to use when making your own teas. I am particularly partial to this Cold & Flu Loose Herbal Tea from Arogya Tea & Holistic Healing. It contains an immune-boosting and antiseptic blend of herbs to help strengthen and defend your reserves. Ingredients include Elder Flowers, Licorice Root, Fennel and Cinnamon to battle congestion, Calendula to ease fever, Lime Blossoms to calm the stomach and Echinacea to boost immunity. Get it here. Or try Folke Magick’s Cold & Flu Herbal Tea as an alternate version. Speaking of boosting your immunity, drinking raw apple cider vinegar everyday is a great way to keep your immunity up. Not only can it help to prevent you from getting sick, but it also gives your body a boost to fight a cold or the flu if you do get sick. 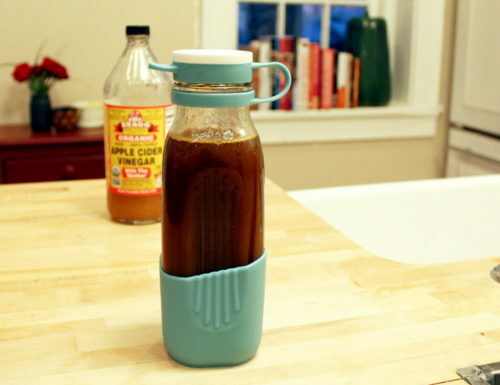 I have a great recipe for a turmeric ginger apple cider vinegar tonic here. If you already have a cold, adding a dash of cayenne pepper to suit can give this tonic an extra kick to help clear out stuffy nasal passages. 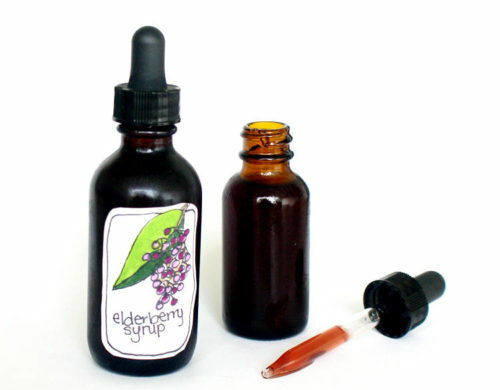 Elderberry syrup is another immunity boosting remedy! Black elderberries have been used for hundreds of years for their medicinal value in treating colds, the flu, allergies and to boost overall respiratory health. Found along rivers, forests and even roadsides, this common botanical yields ripe berries that are rich in antioxidants, potassium, beta carotene, calcium, phosphorus, and vitamin C.
In addition to apple cider vinegar and elderberry syrup, you can also purchase immunity boosting herbal teas. Moose Head Homestead sells an ImmuniTEA-herbal tea blend that combines elderflowers with organic ginger root, calendula, yarrow and peppermint leaf that you take at the first sign of discomfort. Earth Witch Herbals also sells an Immuni-TEA tea blend with a slightly different formula. 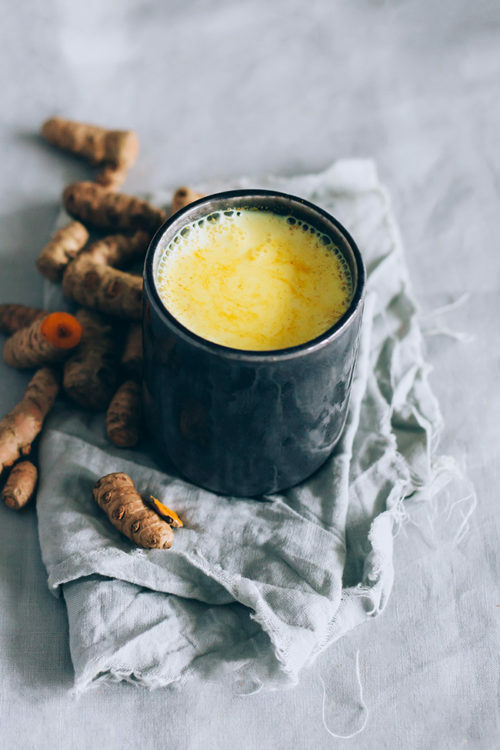 Speaking of turmeric, golden milk is another great option for not only boosting your immunity, but it’s also a pretty powerful antioxidant, antibacterial and anti-inflammatory. Golden milk, also sometimes called turmeric tea, can help stop a bacterial infection in its tracks as well as soothe a sore throat. It can also help with digestion issues such as with gas, bloating, and digestive comfort as well as ease muscle and joint pain. You can also find a simpler golden milk recipe at It’s a Healthy Lifestyle blog which focuses on nutrition, veganism, health and lifestyle. There’s even a golden milk frozen dog treat recipe for your pup at Dalmatian DIY because, after all, pets are family too. 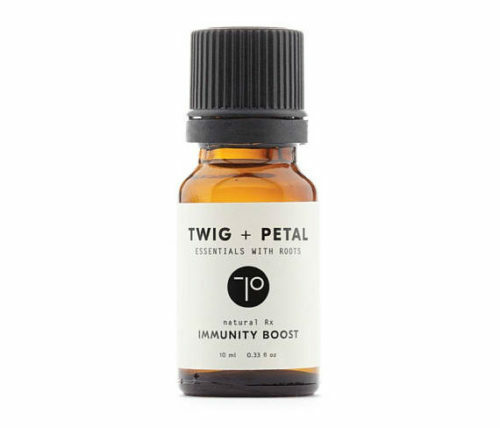 If your preference lies more in the realm of essential oils and aromatherapy then you might want to consider giving Twig + Petals Immunity Boost Organic Essential Oil Blend a try. The natural blend of Pine, Lemon, Eucalyptus, Myrrh, Tea Tree, Thyme essential oils can be applied to feet or added to warm bathwater to help support your body’s natural immunity. 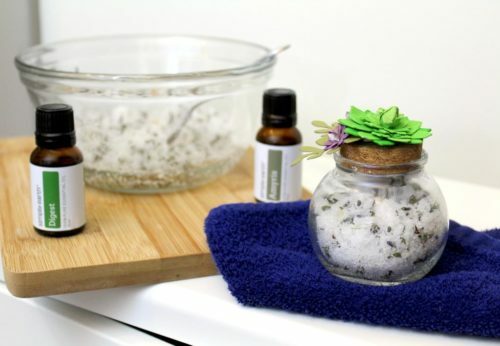 Alternately, if you enjoy making your own homemade products, Humblebee & Me has a great recipe for making your own Essential Oil Cold & Flu Aromatherapy Roll On. It contains eucalyptus, peppermint, clove bud, wintergreen, lime, cajeput and tea tree essential oils as well as menthol. 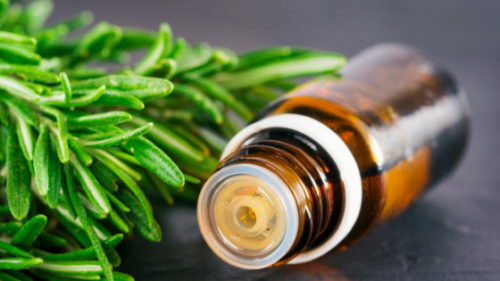 If you are allergic or sensitive to eucalyptus and/or clove bud essential oils, cedarwood and cinnamon essential oils make a wonderful substitute. 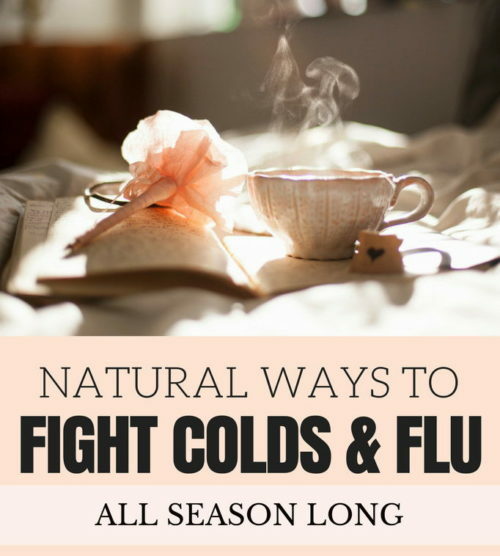 Now that you’re better armed to take on cold & flu season – and really, basically be Wonder Woman for the entire holiday season – be sure to let me know in the comments what some of your favorite natural ways to fight colds & flu are! And don’t forget to check out my Natural Home Remedies & Herbal Health Care board on Pinterest for more great ideas for taking charge of your health. For even more great ideas and homemade skin care recipes you can find and follow me on all of your favorite social media platforms including Pinterest, G+, Tumblr, Facebook, Twitter, Blog Lovin’, and Instagram. Alternately, you can also sign up to receive new posts from Soap Deli News blog to your email via FeedBurner so you never miss a post.